Canon has patented two new EF lens design. They both appear to be Super Zoom design, one for the full frame body, EF 28-550mm f/3.5-6.3 and the other for the cropped frame EF-S 15-300mm f/3.5-6.3. The EF 28-550mm f/3.5-6.3 will be quite a welcome move for me to replace my present EF 28-300mm f/3.5-5.6L IS lens, but it will weigh quite a bit more, I am afraid. The current lens is about 3.70 pounds already. I hope it will come in the 'L' version. 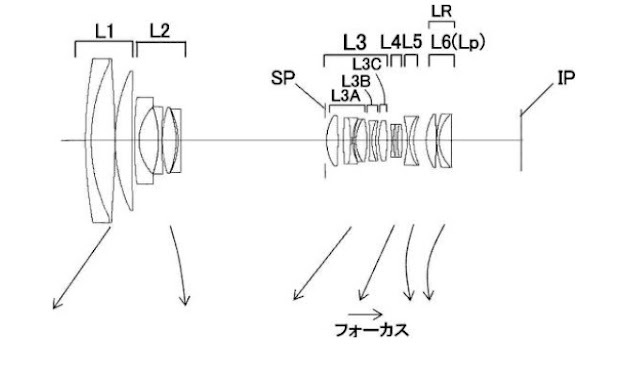 Canon is expected to announce a Super Zoom lens some time in 2018 but it may not be a 'L' lens.